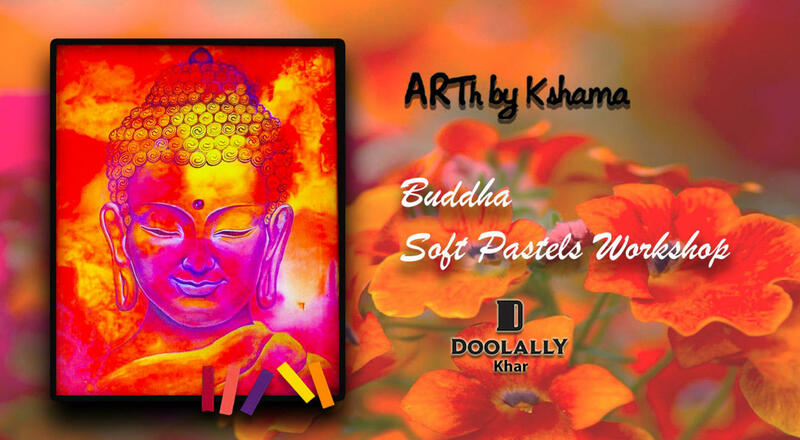 ARTh by Kshama presents “Buddha” a Soft Pastels Workshop. A pastel is an art medium in the form of a stick, consisting of pure powdered pigment and a binder. A medium that can be used for quick work as well as detailed illustrations. The highly pigmented colors does half the work to make your painting look vibrant and lively. The beautiful blend of pastels to paint a serene Buddha will surely be an enjoyable and rejuvenating painting experience. A step by step guided art workshop. Participants with no prior experience will also find themselves paint with ease and take home their painting. "I am a Chartered Accountant by qualification and a self taught artist. Painting allows me to break the norms and explore various mediums in art, meet people with different ideologies and moreover discover myself in the process. Conducting different art workshops, exhibiting my work and unconditional support from family and friends has given me motivation pursue my passion. It brings me immense joy to share this experience with all of you."